so you’re sure to fine a wine to suit your taste and budget. Unlike others’ Best Wines lists, ours are updated monthly. However, some retailers’ specials don’t last the full month, so our weekly Bargain Alert and Daily Deals are really worth checking. These are the freshest specials. We keep our comments direct and brief – to one to two lines. If the wine has won a trophy or we’ve found another review, we might might add a quote, but no poetry, jargon or essays. 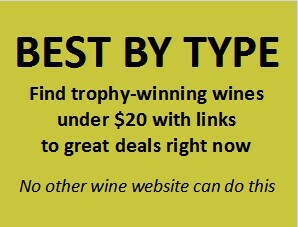 All our Best Wines have links to the merchants where we’ve found the best deals. 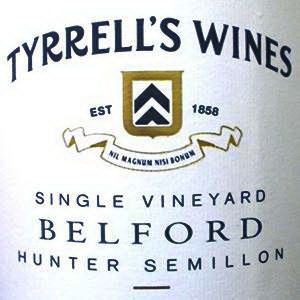 We deliberately avoid obscure wines, regardless of how good they are; we list only wines that you can access easily from merchants like Dan Murphy’s (online and in-store), online merchants like Kemeneys and Winestar and from vineyards directly. Our best deals are easy for you to buy right now. 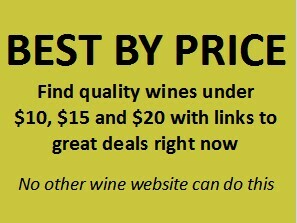 The pricing we use is what we call ‘street’ – the best current or recent price for a wine bought in mixed 6 or 12 packs. At Dan M, 1st Choice and Vintage Cellars lately, the magic number is 6; at Kemenys, Winestar and Wineonline it’s 12. 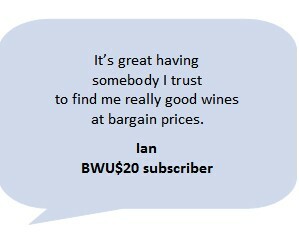 At MyCellars, it’s any number and free freight for our subscribers with the promo code BWU20. Every Friday, we email subscribers a Bargain Alert of the best deals we’ve found during the week. Many of these are added to our Best Lists by price and type, which are updated monthly. We also email subscribers with Daily Deals – great deals that won’t last until next Friday. Like to drink better wine and save money too? Try BWU$20 FREE for 30 days. It’s the best wine deal of all.